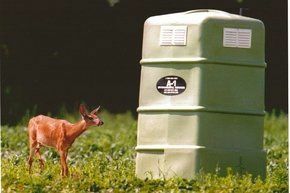 A1-Enterprises is a family-owned, portable toilet company located in Bernardston, Massachusetts. 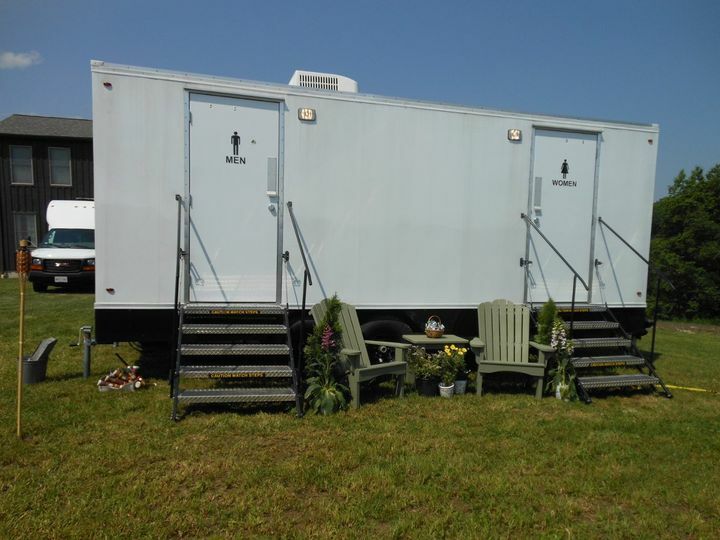 They offer standard portable toilets, handicap toilets, sinks and executive portable trailers. They'll deliver them to your venue, so you'll have one less thing to worry about the morning of your wedding. 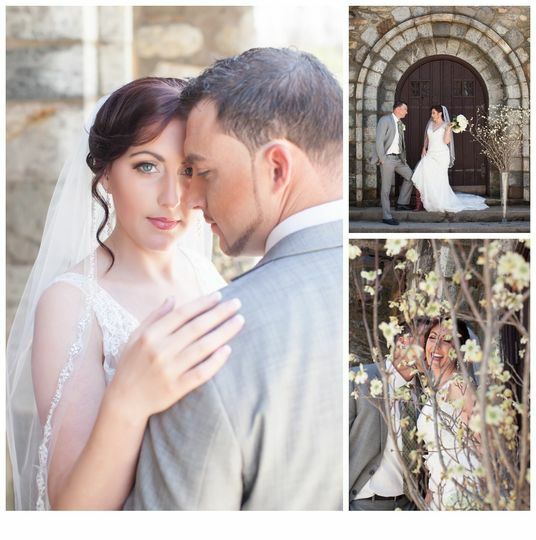 A1-Enterprises can’t wait to make your special day unforgettable. 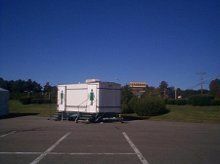 The Queen Trailer - contains water, heat, lights and air conditioning. The women’s side features three stalls, two sinks, a trash reciprocal and paper towels. 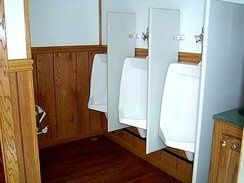 The men’s side has two stalls, three urinals and one sink, along with a place for trash and paper towels as well. 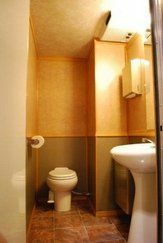 Our Executive - boasts an oak interior, multiple stalls, sinks, a mirror with paper towels and trash reciprocals. In addition to water, heat, lights and air conditioning, it also features a stereo and two attendants for six hours. 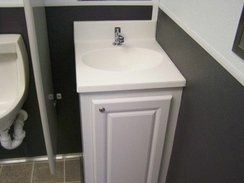 Tiny Tot Trailer - is ideal for a reception of 200 guests or less. 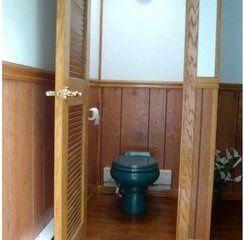 It features one toilet and one sink on each side, paper towels, toilet paper and soap. It does require a garden hose hookup. A-1 Enterprises did a great job at our wedding site which was in rural New Hampshire on a lake and near a wooded area. Sandy and her brother delivered an excellent comfort suite on time and in top notch condition. The Queen Suite was perfect for our needs to service 210 guests for a 8 hour period and overnight for about 30 guests. The Suite was clean and well stocked with necessary supplies on arrival and were more than adequate for our guests. On the day following our wedding, A-1 promptly removed the Suite. My wife and I highly recommend the A-1 for your party needs. A1 was awesome to deal with-friendly and professional. The Queen trailer arrived spotless and with a fully stocked basket full of essentials. They arrived on time, were flexible with placement and Sandy had been very detailed so we were ready for hook up. I also want to note they were the only one of our vendors who didn’t chew up the lawn so thank you for that as well!!! 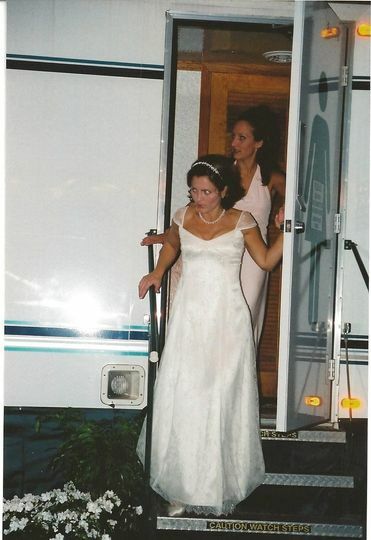 We rented a "Tiny Tot" trailer as recommended by A1, and it was the perfect size for a wedding with 100 people. It was SO much classier than the standard blue free-standers. The guests were impressed, and we were happy...not often such enthusiasm for toilets! Kudos to Sandy, Dan and Terry for their assistance from start to finish. The benchmark of excellent service is what happens when something goes wrong. Though mechanical difficulties are unpredictable, A1 never let us down. As promised, only a fully functional, immaculate trailer was delivered to us on time, despite a lot of headaches at their end. They hustled to make everything perfect for us, and we appreciate their efforts. Nice to do business with a company that is reliable and personable. A1- Enterprises is a great addition to any backyard or outdoor setting with the many trailer options they offer your guests. A-1 Enterprises is reliable, affordable and a quality company of professionals that I would employ for all of my outdoor activities!